Just released NamedManager 1.8.0, my open source web-based DNS management tool. This release fixes some bugs with MySQL 5.6 and internationalized domain names, but also includes support for using Amazon AWS Route53 alongside the existing Bind9 support. 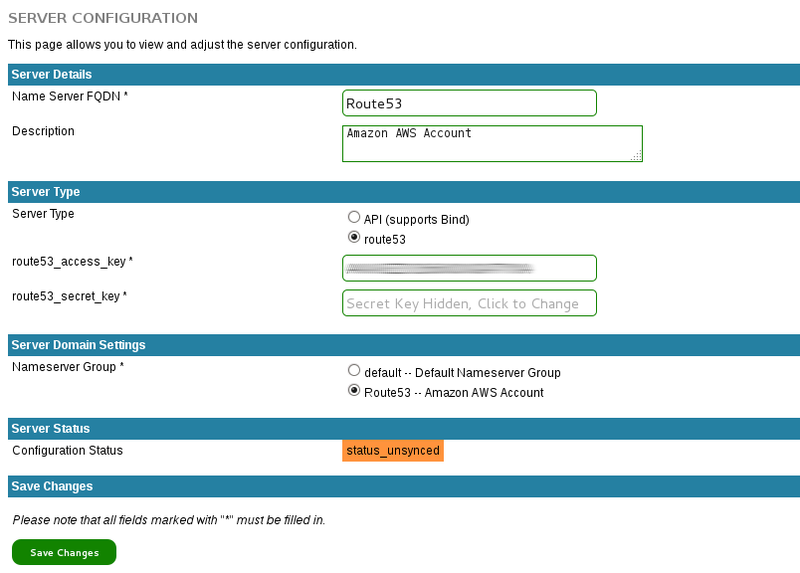 Just add a name server entry with the type of Route53 and your Amazon credentials and a background process will sync all DNS changes to Route53. You can mix and match thanks to the groups feature, so if you want some zones going to both Bind9 and Route53 and others going to just Route53 or Bind9, you can do so. NamedManager, now with cloudy goodness. As always, the easiest installation is from the provided RPMs, however you can also install from tarball or from Git – just refer to the installation documentation. This feature is considered stable, however it is new, so be wary for bugs and issues – and report any issues you encounter back to me via email or the project manager issue tracker. This entry was posted in Uncategorized and tagged amazon, aws, bind, code, dns, geek, linux, namedmanager, open source, route53. Bookmark the permalink.